Join us for a series of exciting opportunities at Beyond the Baseline. Brought to you by the NCAA and its supporters, we hope you’ll participate in one of the various professional development events on the schedule. Come celebrate women’s basketball and women’s advancement at Tourney Town this weekend! 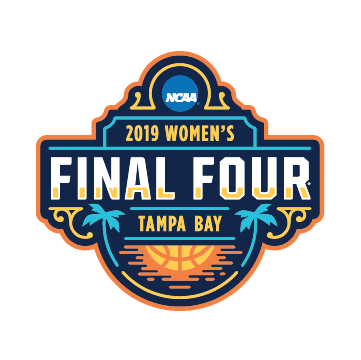 Join us for the official tip-off event of the Women’s Final Four Beyond the Baseline Series. 2019 marks the 10-year celebration of the Beyond the Baseline Series which started originally in Tampa. We’ll spend time discussing the evolution and impact of this series over the years and most recently in Tampa Bay and the surrounding communities. A deeper dive on the value of mentoring young women and girls in the sports space, and the important impact made by ongoing and intentional efforts. Highlighting the impact of women in business and in sports from a global perspective. Discussion of how the business of women's basketball continues to move toward globalization. Women’s basketball analyst LaChina Robsinson, producer Terrika Foster-Brasby, and a host of A-list guests from around women’s basketball join this very special live episode of espnW’s acclaimed podcast, “Around the Rim,” to break down and dive into the 2018-19 season ahead of the National Championship! Join us as we discuss the culture of youth sports, Title IX and topics surrounding equality. Each year, thousands of students suit up for competition. On the court, diamond, field, track or pool, they’re learning principles to succeed later in life. Colleen Healy, former UCONN basketball star and leadership coach, and Missy West, former Duke basketball star and motivational speaker, have formalized critical life-lessons into principles to help form pillars of success to apply towards any athlete at any stage of his or her career. Join these two former collegiate athletes for a brief walk through of the ORCA Principles: (Opportunities, Resilience, Contribution and Accountability), and walk away with a valuable toolkit to help you achieve your next growth milestone.